Disclosure: This post is sponsored by Purina, Tractor Supply Co. and the BlogPaws® Pet Influencer Network™. 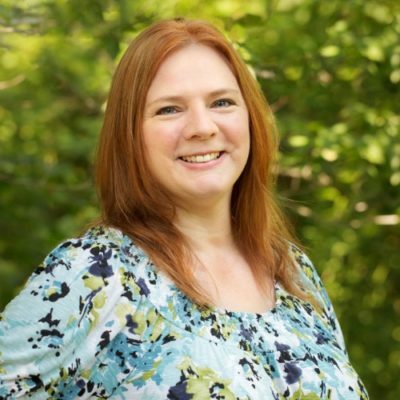 I am being compensated to help share information about the availability of Purina products at Tractor Supply Co., but we only share information we feel is relevant to our readers. Neither Nestle Purina PetCare or Tractor Supply Co. are not responsible for the content of this article. I am pretty sure that my very first trip to Tractor Supply Co.® was when my daughter was about eight years old. She was in love with horses, and we’d heard that they were one of the only stores around that carried the toy horses she wanted. 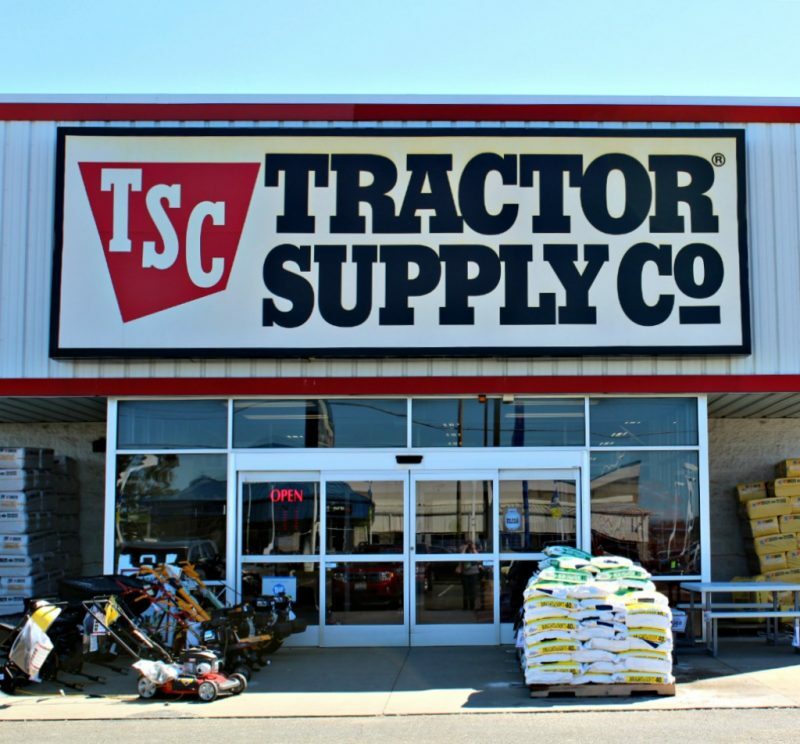 Prior to that, I thought TSC was just for farmers, and that they sold tractor and farm animal stuff. Well, yeah, they do sell tractor and farm animal stuff, but they sell a lot more than that. 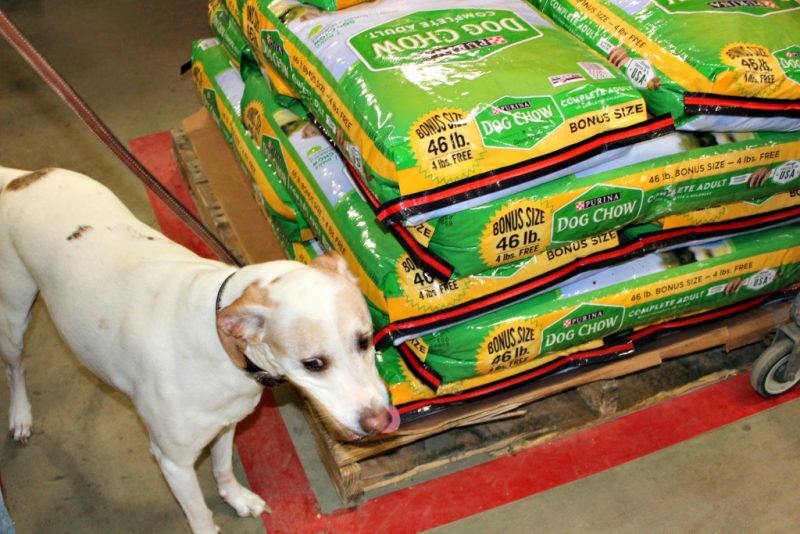 And starting this April, Tractor Supply Co. is expanding their Purina® product offerings. All of my animals eat Purina, so this makes me really excited! Toby was super excited too. He found his food right away during our shopping trip. Knowing that I’ve got options is always important to me when it comes to where I can buy my pets’ food. Now that Tractor Supply Co. is expanding their Purina pet product offerings, I’ll be able to buy food for all of my fur babies there. Toby loves his Purina Dog Chow which is available at Tractor Supply Co., and now they carry Purina ONE Dog, and Purina Pro Plan. 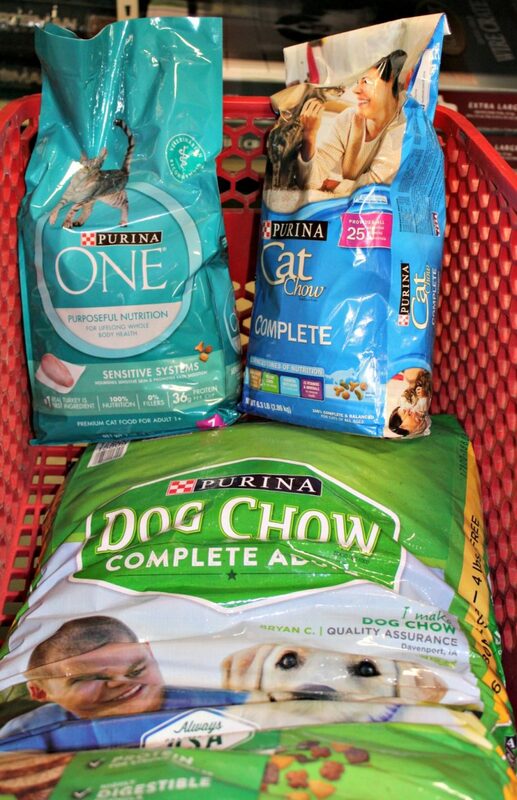 It’s great that we’ve got more choices for Toby’s Purina cravings! Toby had a great time shopping at Tractor Supply Co. He made a new furry friend who was a little shy, and he made a big metal chicken friend too! 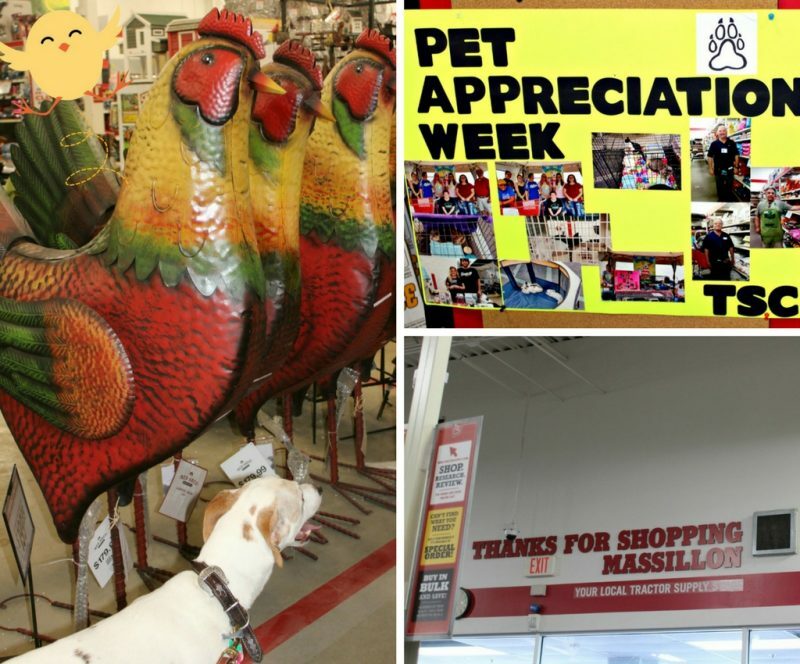 I think it is great that Tractor Supply Co. is so pet friendly. We really enjoyed exploring the store, and Toby appreciated the toy section! About two years ago, my senior cat Midnight developed a lot of digestion issues, and we tried a lot of different foods before settling on Purina ONE Sensitive Systems. It helped him so much! I think he has only had trouble a couple of times since we switched to this food. I was very happy to see that Tractor Supply Co had it in stock on my recent trip. It seems like this particular formula is out of stock a lot when I go places, so it must be really popular! Our other two cats, Indiana Jones and Sammy Dean Winchester, love this food too. I love that it has zero fillers and has real turkey as the first ingredient. Last month, I took in my nephew’s girlfriend’s parents’ cat…try saying that three times fast! We are fostering Boo Boo for 4 months until my nephew’s girlfriend moves to an apartment that allows cats. Her parents had to move to an apartment that doesn’t allow animals, so they couldn’t take Boo Boo. Since my nephew’s girlfriend wants to be able to keep Boo Boo, my nephew, knowing how much I love cats, asked if I would take her for that time. And being me, I said yes! I asked him what food Boo Boo had been eating, and he said Purina Cat Chow. I’ve been mixing that with a bit of the Sensitive Systems formula, so if she ever decides that she actually wants to eat with my other kitties, she’ll be used to this formula too. For now, she still mostly stays in my bedroom, though she has been exploring more. If you missed my post about introducing a new cat to your current cats, be sure to check it out. Poor Boo Boo only has one eye, so my son has nicknamed her Willie after One-Eyed Willie in The Goonies. Boo Boo, aka Willie, loves her Purina Cat Chow, and I love that I can get it at Tractor Supply Co. too. One stop shopping for pet food is the best! 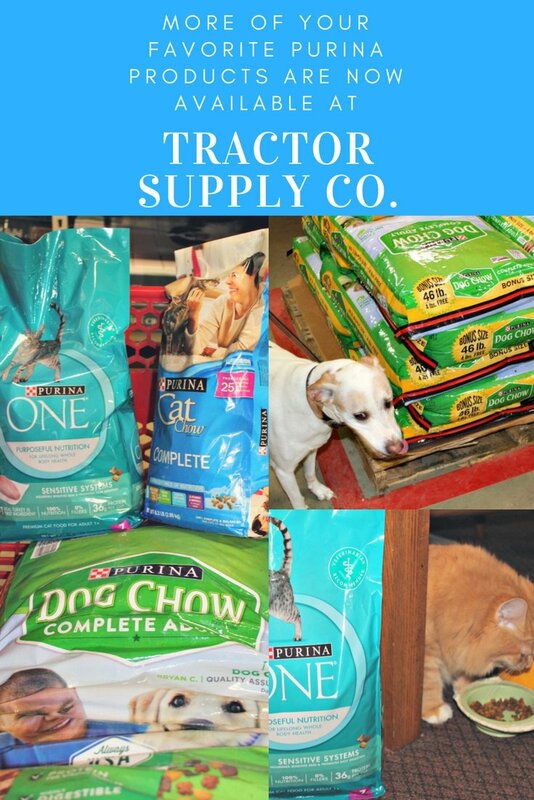 Purina Pet Products at Tractor Supply Co.
You can find all of the Purina Pet Products that Tractor Supply Co. now offers by visiting their website and by visiting your local Tractor Supply Co.
Where is your closest Tractor Supply Co.? Be sure to visit and check out all of the newest Purina offerings! This is a sponsored conversation written by me on behalf of Purina® at Tractor Supply. The opinions and text are all mine. We have a tractor supply store not to far from us and visit often. The sell the big bags of dog food which saves time and money over buying those smaller bags. Unless you have a big dog of course. Yes, it does! The smaller bags can add up. I love to walk every single aisle at my local Tractor Supply. I always look forward to seeing the baby chicks and ducks. My grandkids love the gardening tools I bought for them there. It truly does have great finds. Of course, I love their pet supplies also. That’s so cute about the grandkids. I used to love helping my dad in our garden. Our local Tractos Supply is really nice and has such a wide variety! We have purchased a lot of stuff for our dog there over the years. That’s awesome! Be sure to check out the new Purina products the next time you are there! I always love checking out the stores. I do not have a green thumb so to speak but there’s definitely things in there like the pet food that I can get. I love how personable those places are and if I can give business to a smaller business the happier I am. I agree that they are very personable there! We love our local Tractor supply! We always purchase stuff for our dogs there – and used to for our chickens when we had them. Great options and prices! Yes, they definitely are the place to be! We actually get our dog food at TSC. I love one of the brands that they carry there. I also love that the store is convenient and has all kinds of things I might need for my pets. We shop at Tractor Supply a lot. We get food for the cats, along with chicken, rabbit, and sheep feed. That’s awesome! One stop shopping for pet products is always good! My father-in-law and his family would adore a place like this! I should ask them if they know about it – they have a big dog who needs lots of food so this may be worth it for them. Yes, have him look at the store locator! Oh My Gosh, look at those cats! I am such a sucker for adorable feline friends! Thanks! I love my kitties! 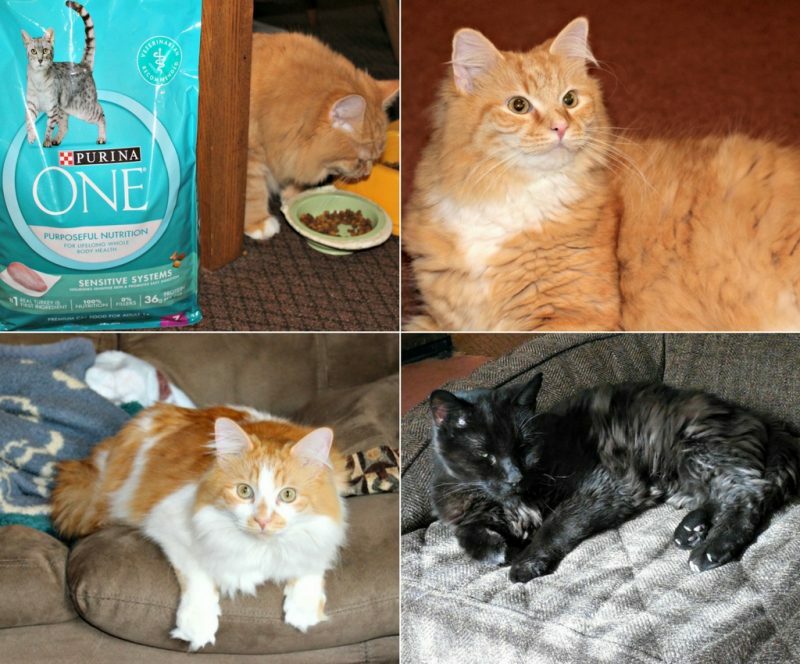 We love Purina for our cats. We use their indoor formula and it’s worked great for them. I never knew that Tractor Supply has dog food! Thanks for letting me know about this, it is a great option for me since there is one close by to my home. You’re welcome! Yes, they’ve got a lot to choose from. This is a great post for those with pets. We actually have a Tractor Supply Co. in our area so I will have to check it out for sure. I have never shopped there before. Thanks for sharing the information. Great! I’m sure you’ll find what you need! We don’t have any pets but I know that my mom’s and sister’s pets love Purina products. Wish they had a Tractor Supply Co. near them, so they could take advantage of their great prices. Purina is great! It’s too bad there is no Tractor Supply Co. there! I’ve never shopped at a Tractor Supply! I don’t believe we have one here in the Atlanta area. But Purina is a great dog food! Yes, it is! I think Tractor Supply is probably closer to rural areas, so the further out from Atlanta you go, the more likely you are to run into one! I will have to check out the Tractor Supply Co we have by us! I’ve been wanting to go for a long time, but never have. Now I have a reason to! Yes, they’ve got everything you need for pets and gardening and farming! I had no idea a tractor supply place like this would serve Pet food. Well the more you know and looks like they have them in bulk! Yes, they sell a lot in bulk! They really do! Everything from clothes, toys, chicks (during spring! ), pet food, fertilizer….you name it! This is awesome. 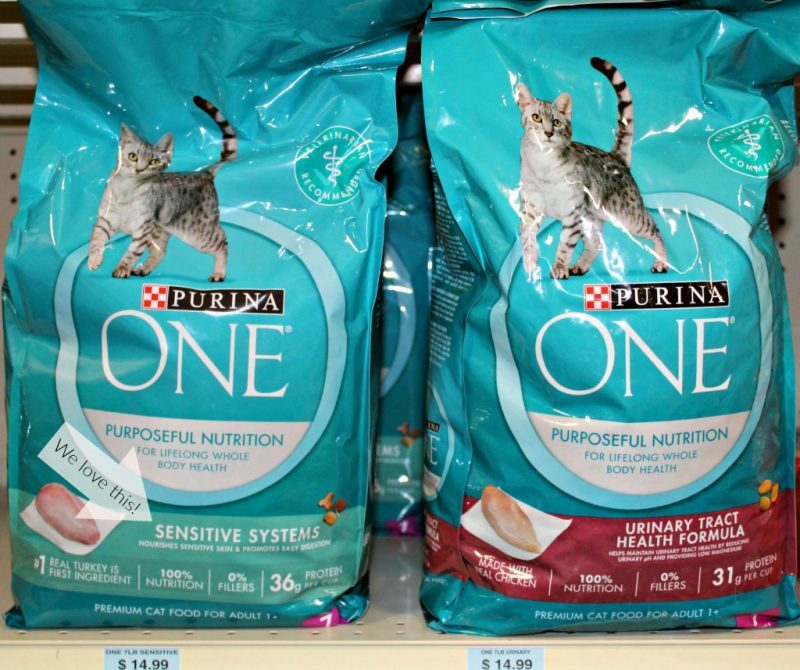 It’s good to see purina products available at stores that are closer to home or more convenient to go to. Your pets are all adorable! I’m glad you found another place to get their food. Thank you! I like having lots of options too!